Size: 20.8 x 10.7 x 5.6 mm. 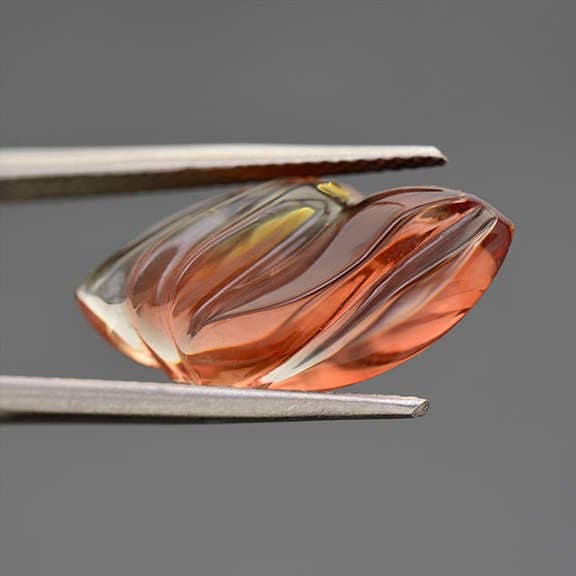 Here is a stunning Sunstone carving! 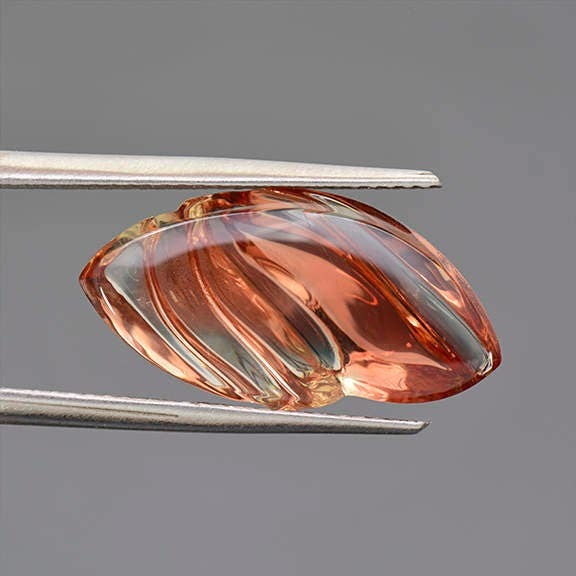 Oregon Sunstone is one of the most beautiful gems for North America, and is one of the few elite gemstones that are naturally red color. 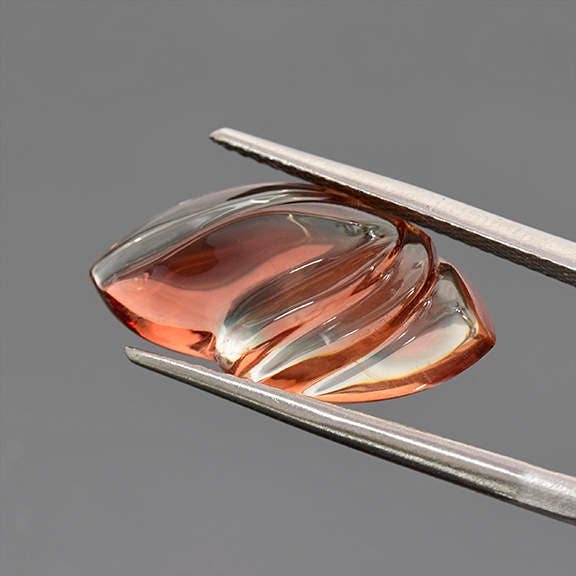 The Oregon material is typically included with “Shiller” or Copper particles that give gemstones a beautiful and unique appearance. This stone has just a touch of the Shiller that gives the stone a glittery effect. 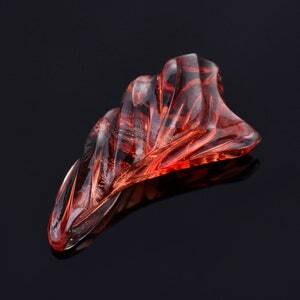 It has been hand carved to the freeform shape of the rough with these sensual flowing lines. The piece has such a nice feel in the hand and is polished beautifully. 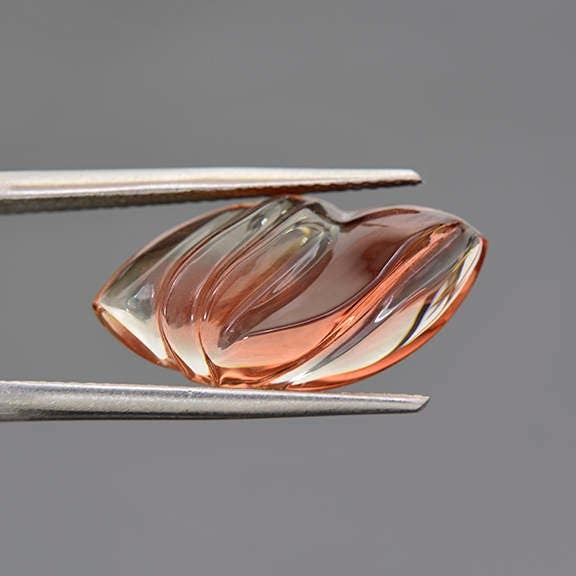 This stone has a lovely mixture of red, orange and Champagne that transition and flash out as the stone is moved on the hand. 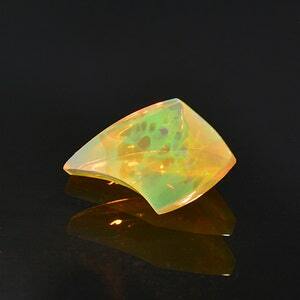 It will look gorgeous in a piece of jewelry and will certainly be a center for attention. 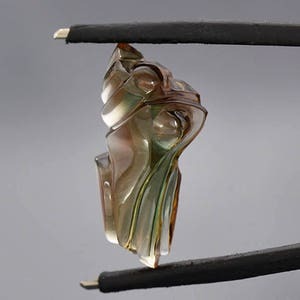 These type of carvings are traditionally set into pendants, but could be a unique ring. 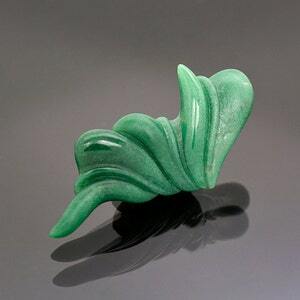 This stone was carved by Brett Kosnar of Kosnar Gem Co., during March 2017. Enjoy!